All orders are SUBJECT TO PRODUCTS AVAILABILITY. If purchased item is out of stock, we will make full refund. Items offered on our website are only available for delivery to addresses in Malaysia. We also accept orders from international customers. If you have international shipping order, kindly contact us via email at casadimoda88@gmail.com. We make every effort to fulfil your order within the shortest timeline the possible. An estimated date of delivery will be emailed to you once your order is paid. Delivery times are to be used as a reference only and the actual lead time is subject to logistic handling processes and custom clearance efficiency. Business day means Monday to Friday, except public holidays. No shipment will be arranged on weekend and public holidays. Deliveries will be handled by Malaysia leading courier company i.e. POSLAJU. International shipping may subject to local customs import duties or taxes based on the destination country. Such duties and fees will be borne by customer on top of the shipping cost. Casa Di Moda will not be liable for any custom or import duties incurred (if any). Track and trace details are only available after the release of the parcel. We will send you an email, which contains courier company, air-way-bill (AWB) number, track and trace website and order details for your tracking purposes. We advised you to ensure there is somebody at the delivery address to receive and sign the parcel. For any unsuccessful delivery, the courier company rider may leave a calling card at the door step/ postbox requesting for re-delivery or manual collection. If you fail to receive your parcel during the delivery day, you may contact the relevant courier company to request for an alternate delivery day or arrange for self-pick at the designated courier station. Once the order been released, it is the responsibility of our third party courier service providers and we will not responsible for any compensation claim (if any). 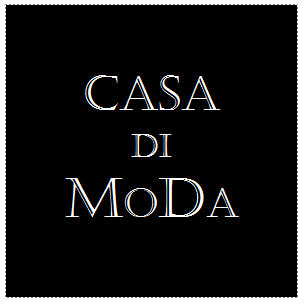 For more information, you may contact us at casadimoda88@gmail.com.